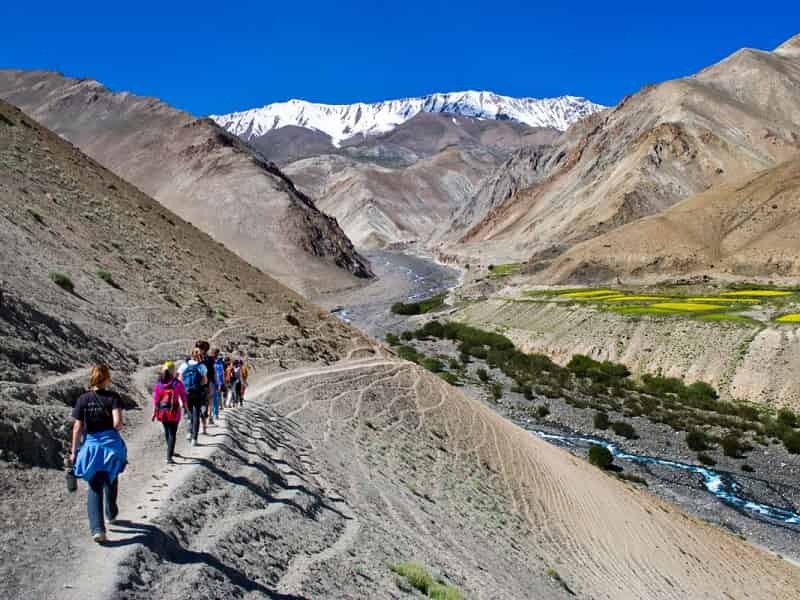 This Highlights Of Ladakh Tour will allow you to explore the beauty of the snow-capped Himalayan peaks, stunning lakes, remote villages and ancient monasteries as well as give you chance to have a wonderful glimpse into the way of life of the locals in this region. Today you’ll be flying to LEH, part of the Indian state of Jammu and Kashmir. Leh has a long and fascinating history that starts with its one-time status as capital of the Himalayan Kingdom of Ladakh. Check into your room and spend the day acclimatizing to your new altitude of 3,524 meters / 11,562 feet. After a peaceful night’s sleep, explore your new surroundings by starting with a heritage walking tour of the city, taking in Leh’s well-preserved Old Town and historic buildings. 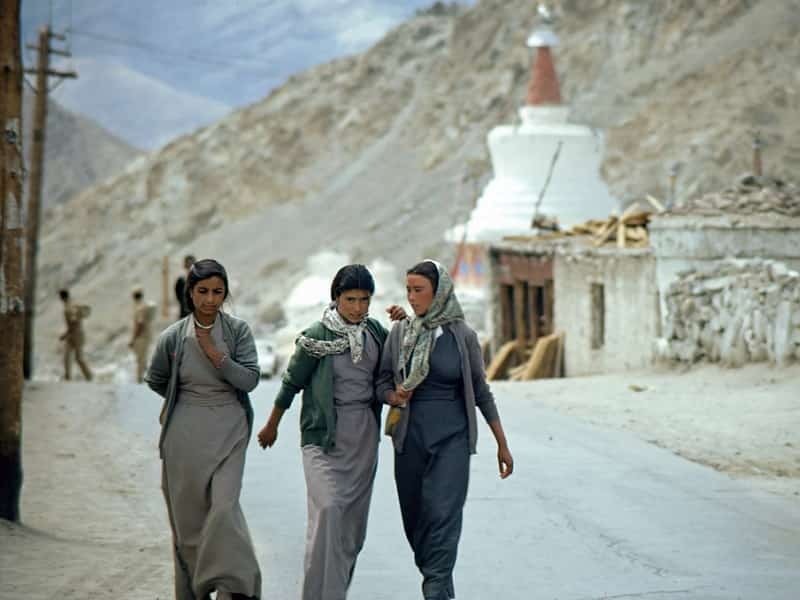 Leh is very 'Tibetan' in culture, which is visible in the local dress, montasteries, large chortens, prayer flags and mud brick houses with flat roofs. Stop by the Central Asian Museum, home to a collection of historical artefacts from around the area, as well as a library and garden restaurant. 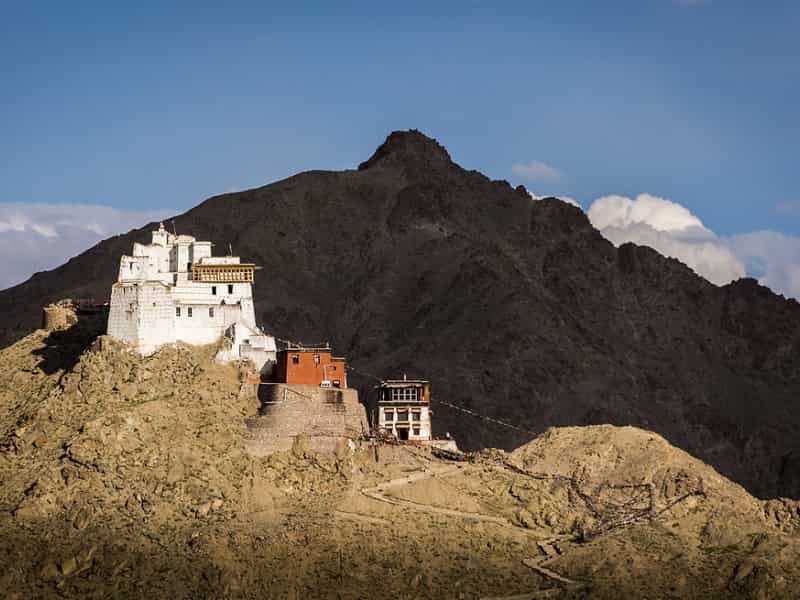 Then, enjoy a guided exploration of the picturesque Thiksey Monastery, being sure to take in the many unique and beautiful elements of Buddhism and Ladakh history this architectural wonderland offers. 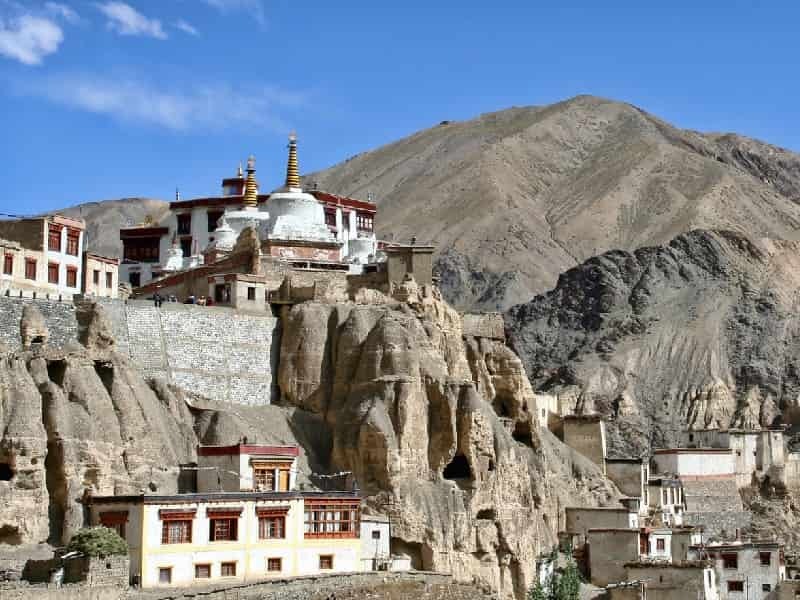 Proceed south to explore the Hemis Monastery, the oldest monastic institution of Ladakh, built in the 13th century in a remote valley. Later, return to your hotel for a tranquil evening. A two hour drive takes you from Leh to ALCHI. 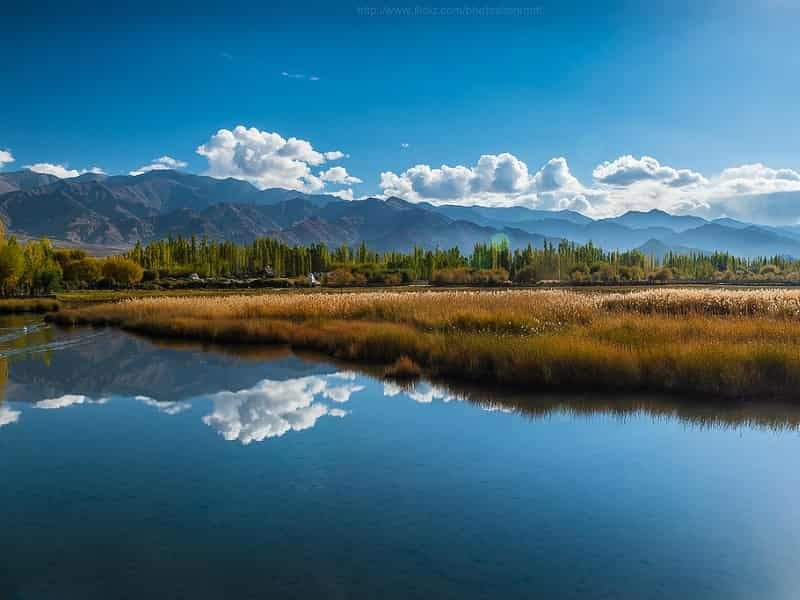 The drive often takes considerably longer as there are a number of interesting places to stop including Phyang monastery, Likir Monastery, a Sikh temple, the Indus / Zanskar River confluence, Magnetic Hill and some fine photogenic examples of stark, cold desert scenery. On arrival, the rest of the day is at leisure. Today is spent exploring Alchi and the ancient Buddhist history of the area. Stop in a local village for lunch, before continuing on to visit a Buddhist monk for a private blessing - the perfect ending to your day. The rest of the day is at leisure. Today morning after breakfast at hotel, later day free for leisure activities. Later check out from hotel and drive to LEH. On arrival, if your energy allows, venture the surroundings villages, then exploring monasteries of Stakna, Matho and Stok. These monasteries enjoy end of the world locations, surrounded by towering peaks - ideal for some meditation. Check in your hotel for night stay. 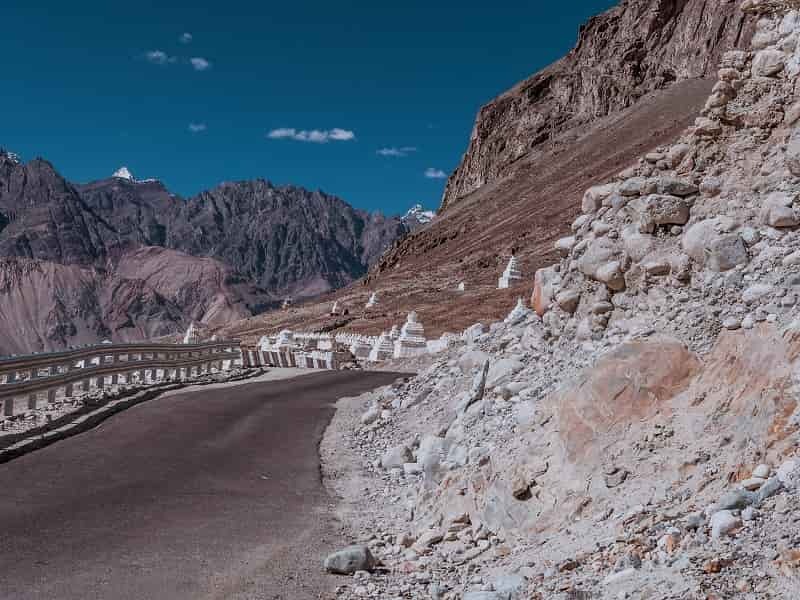 Start your day early and get transferred to Khardung La Pass, touted as the highest motorable road in the world, placed at an altitude of 18360 feet. Enjoy the mesmerizing views. 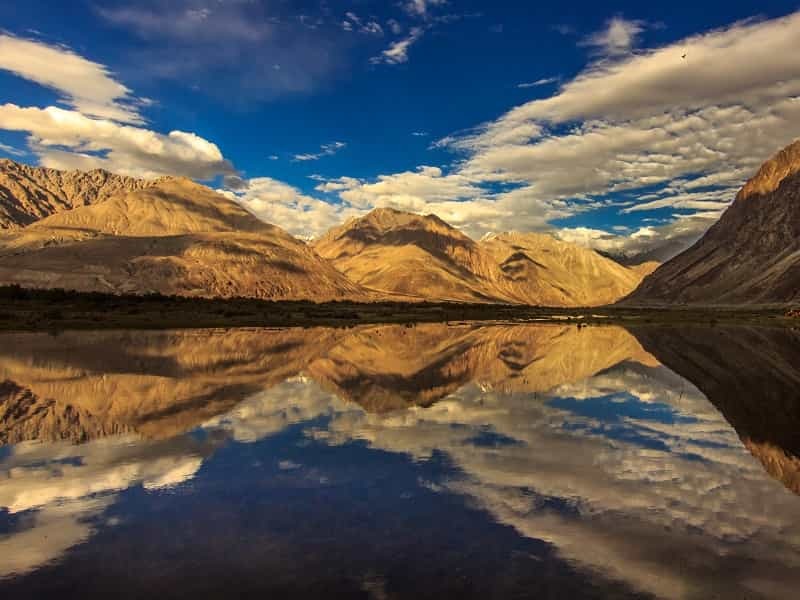 From here, the drive to NUBRA VALLEY takes several hours but includes a stop at a picturesque restaurant and several long stops for photos. The signs at the top proclaim it to be 5,602m, but not only is this probably an exaggeration, there are also several other roads which vie for the title. Whatever the truth, this is one of the highest roads you'll find and a breathtaking experience in every way. If time permits, visit Samstanling Monastery, founded around 140 years back. Set in a serene ambiance, this Gompa offers shelter to 50 monks. Today is spent exploring the Nubra Valley. Thereafter, get onto a double-humped camel’s back for exploring the captivating scenery on the valley. 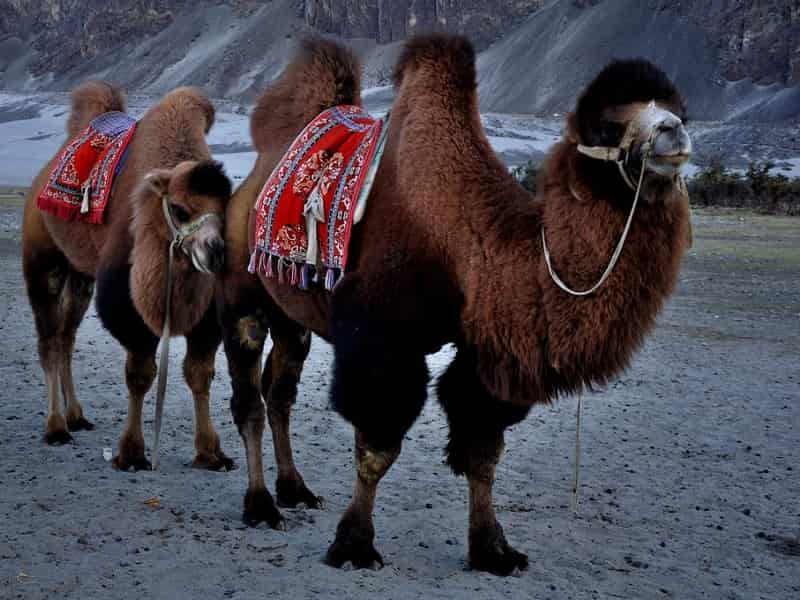 Camel safari at the Hunder sand dunes is one of the best things to do in Nubra Valley. It will feel positively tropical down at 3,000m and a complete contrast to yesterday's glaciers. Continue your sightseeing and visit Panamik Village, famed for hot water sulphur springs. Next visit is to the Diskit Gompa, the largest and the oldest Buddhist monastery in Nubra Valley. Return to your hotel then relax. You are driven back to LEH, again over the high pass. The journey should take less time as there will be fewer stops, but will still take five to six hours, and there will be plenty of time to admire the views. 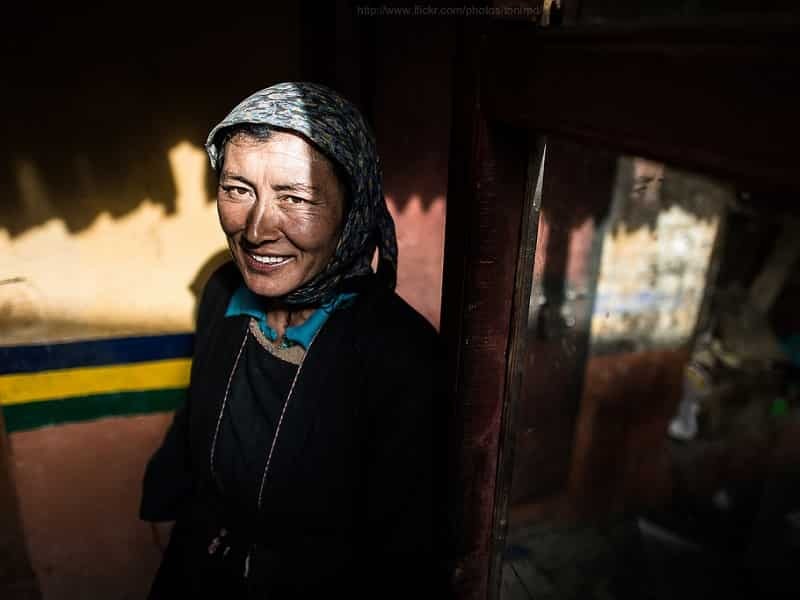 The evening is scheduled for exploring the local markets of Leh, where you can get your hands on some amazing stuff such as wood carvings, Pashmina shawls, Masks, pearls, handicrafts and more. 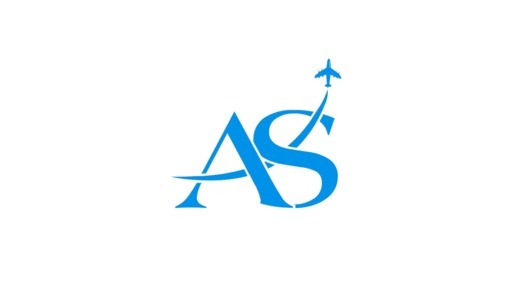 Today, in the morning, a transfer without guide is provided to the Leh airport for boarding flight for Delhi.